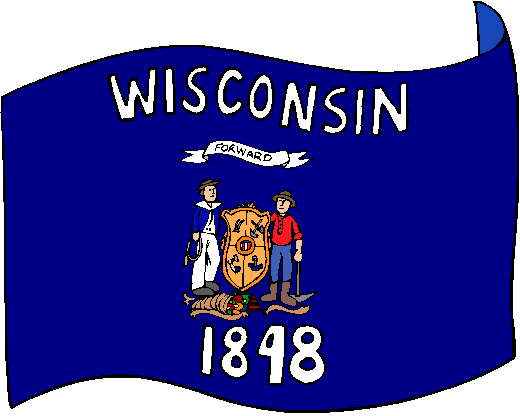 The flag of Wisconsin depicts the state's coat of arms on a dark blue field. Above the coat of arms is the word "WISCONSIN" and below is the year "1848" (the year in which Wisconsin was admitted as the 30th state of the Union). The flag is based on a design that was adopted in 1913. The words "WISCONSIN" and "1848" were added in 1979.